It's looking likelier that autonomous taxis are one of the mobility solutions in the coming decades, as self-driving technology takes leaps and bounds to become commonplace. But it's not just ground traffic that's to become self-reliant. A number of companies, Uber included, have been developing flying taxis that handle themselves. The justification is a sensible one: If robotized cars are a way to eliminate human errors from driving, the same can be done to air travel — at least for short distances. Airbus is one of the biggest names in the aircraft industry, and it won't let the zeitgeist go by unnoticed. The Vahana is its prototype flying taxi, and a full-scale version has made successful flights this month. By "successful flight," we mean a 16-foot climb and return that lasted a total of 53 seconds, but it's off the ground anyway. The test flights were done at the Pendleton Unmanned Aerial Systems Range in Oregon. The Vahana is a VTOL aircraft, meaning it's designed for vertical takeoff and landing to be able to function in tight urban spaces. There are two sets of tilting wings, each of which has four electric motors, so the wings turn when the Vahana has reached a suitable altitude for the motors to propel it forward. Passengers sit under a lifting canopy; right now there's space for one person. The plan is to have a commercialized version on the market by 2020. 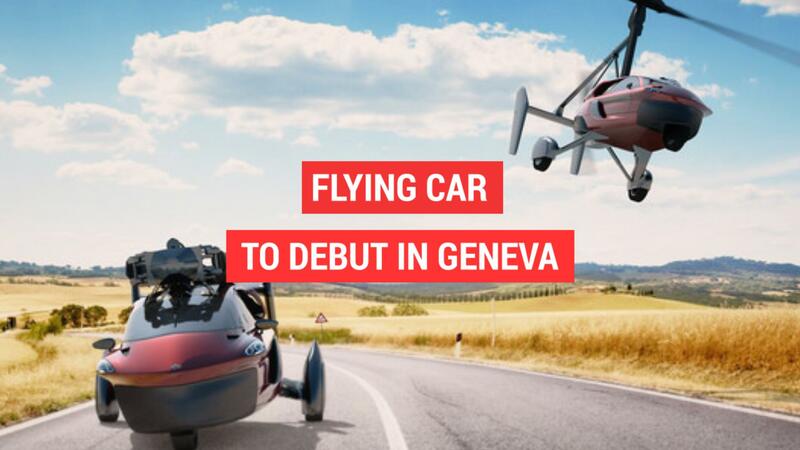 What's remarkable is the short development time: "In just under two years, Vahana took a concept sketch on a napkin and built a full-scale, self-piloted aircraft that has successfully completed its first flight," said Zach Lovering, project executive of Vahana, to CNN.